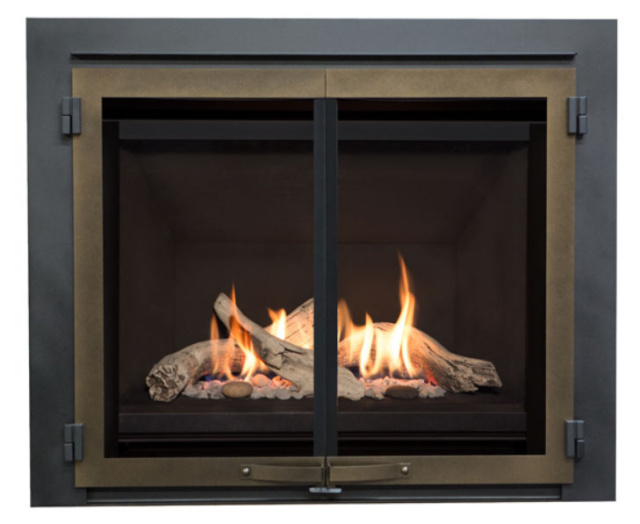 The FOREST HILLS Contemporary gas fireplace features the popular portrait or vertical style fire made popular by Rumford fireplace designs that go back to the 1790's. 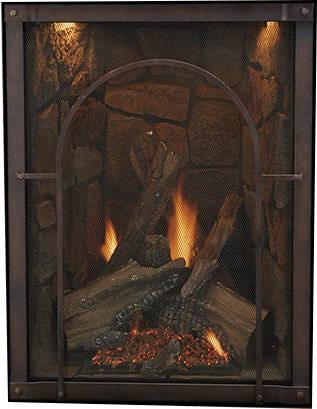 The Rumford fireplace has been reimagined in this design with an earthenware piazza bowl filled with glass through which the fire erupts. 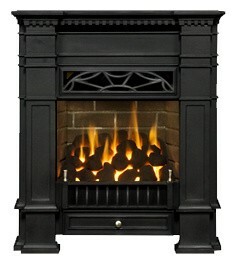 That large beautiful fire provides a large heating capacity. 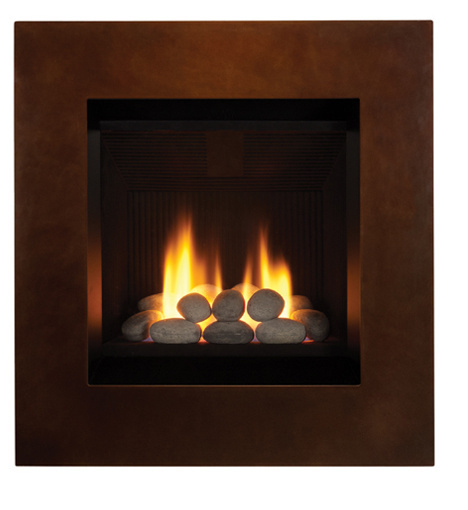 Includes a down lighting system that can be used to accent your fireplace even when the fireplace isn't burning. 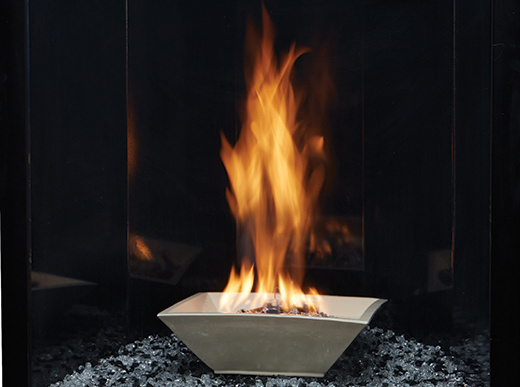 To enhance the fire, the firebox is lined with a black porcelain that magnifies and reflects the dancing flame. 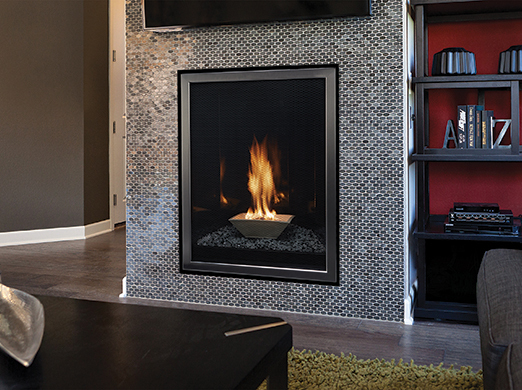 No feature has been overlooked to make this fireplace look fabulous and function efficiently. 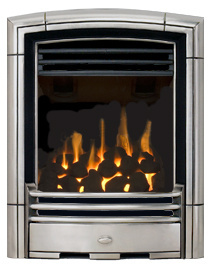 The multi-function remote control can be used to manually turn on the fireplace and adjust the 6 flame settings. 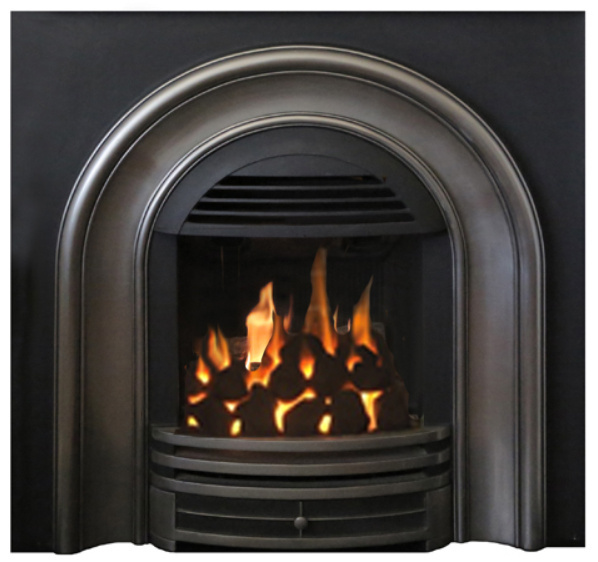 The built-in smart thermostat allows your fireplace to serve as a main heat source by adjusting the flame height as needed - thereby adjusting the heat output - to maintain the room temperature. Simply set it and forget it! You also operate the downlighting feature with the remote, as well as the blower if you opt to add one. 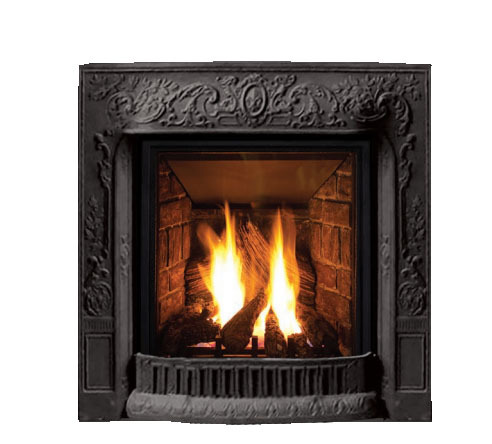 This fireplace is top vented, but with a vertical rise of just 12" you can add a 90 degree elbow and vent through an exterior wall, or vent vertically through the roof, providing a wide variety of venting options to suit any design. 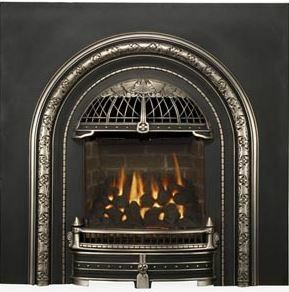 We include this basic venting system with the fireplace. 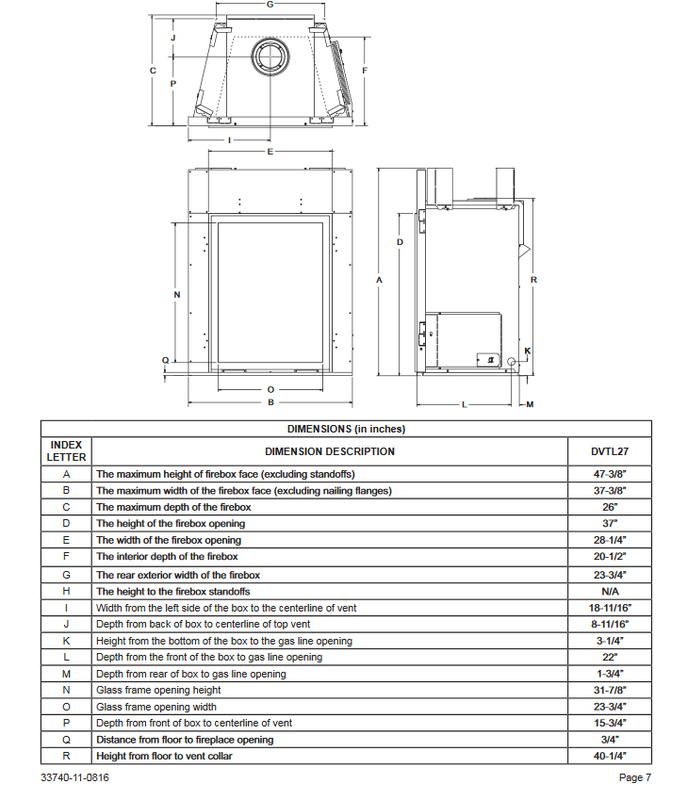 If you need other pipe configuration details then please click here. 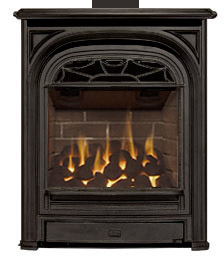 This fireplace is set up for TOP VENT only. 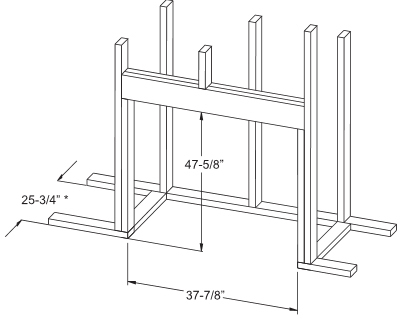 However, with just 12" vertical rise you can add a 90 degree elbow and terminate horizontally. 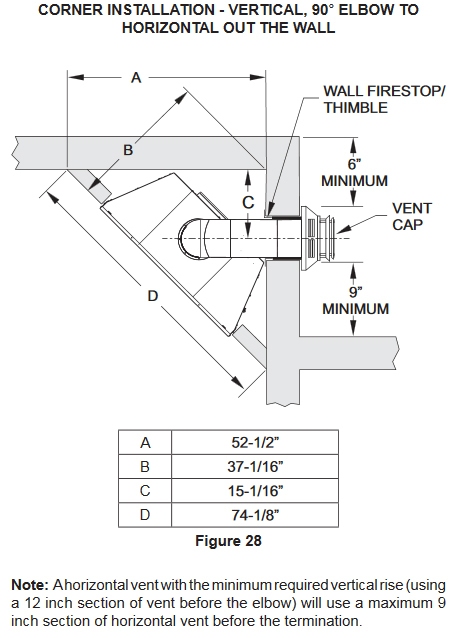 Click diagrams below to see allowable locations for placement of the fireplace and for clearances required from the termination vent. 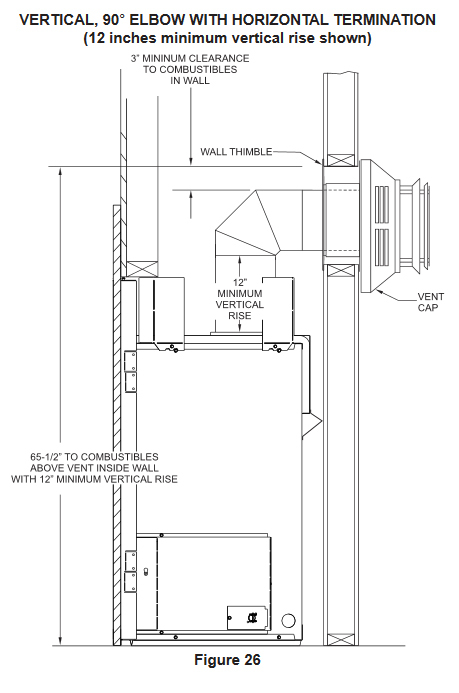 The chart on the right below shows the combination of allowable vertical and horizontal venting. 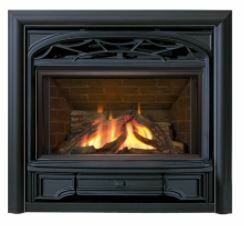 The FOREST HILLS fireplace includes the simple barrier screen front with no trim. 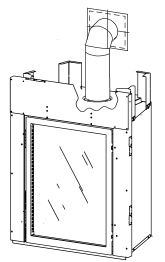 The window trims below are available at additional price.